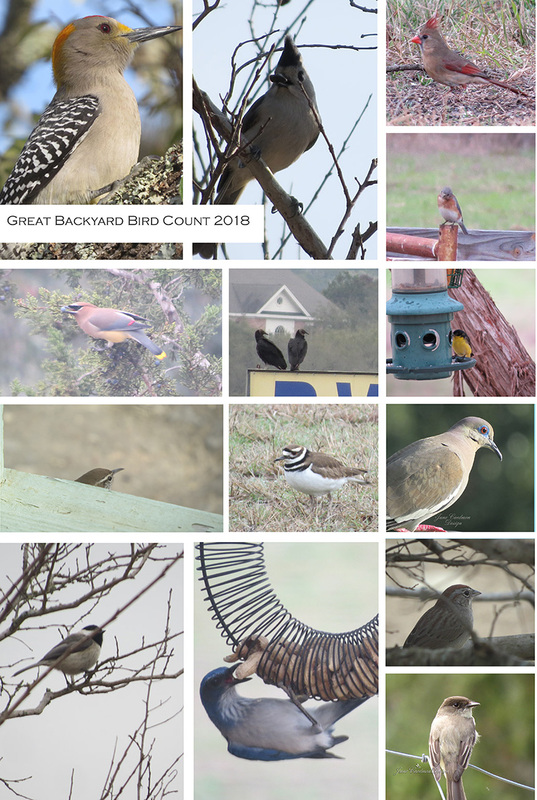 The Great Backyard Bird Count (GBBC) was this past weekend. Did you participate? This is a worldwide event that takes place every February. This year's top checklist submissions came in from the United States, India, Canada, Australia, and Spain. Top-ranked by the number of species reported, Brazil came in at 814 species! Despite the yucky weather, my personal count came in at 14 species. I counted on Friday and Saturday. The weather both days was poor. In fact, on Saturday I counted from my kitchen window! All but five of these pictures were taken during the count. They are mostly for documentation and some, like the Eastern Bluebird, were taken from several hundred yards away. Please forgive the poor quality.